Ian Bousfield was born in York in 1964 and began playing the trombone at the age of seven, his first teacher being his father, a trumpet player. Like so many of England’s top brass players, Ian’s musical roots are firmly planted in the British brass band scene, having been solo trombone in the National Youth Brass Band at thirteen, and for four years solo trombone with the Yorkshire imperial band, during which time they won the British, National and Yorkshire championships. n 1979 Ian became the youngest ever winner of the London Symphony Orchestra Music Scholarship and in 1980 he joined the European Youth Orchestra under Claudio Abbado where he stayed for two years. 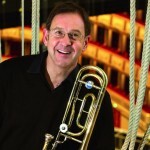 After only six months of study at the Guildhall School of Music in London he became solo trombone with the Halle Orchestra in Manchester and in 1988 he was appointed solo trombone of the London symphony Orchestra, only the fourth in the Orchestra’s history, a position he held until September 2000 when he joined the Wiener Staatsoper Orchestra. During his time in the LSO Ian played on the sound tracks to “Star Wars”, “Braveheart” and “Titanic” as well as many others, film music being very much part of the London orchestral life. 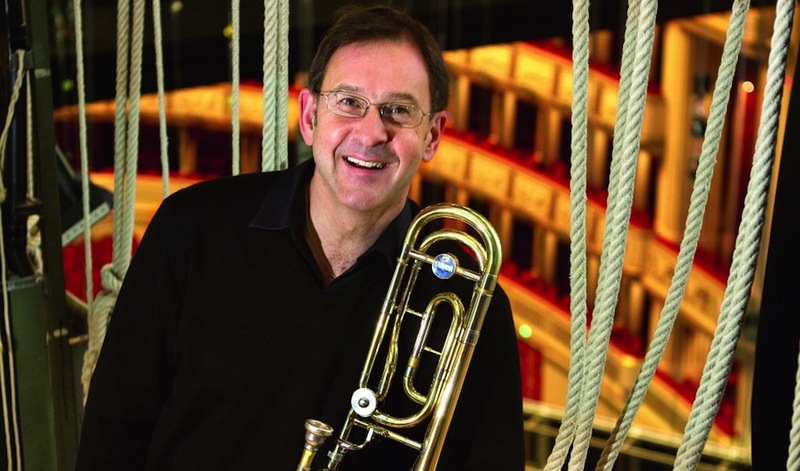 Along side his Orchestral career Ian has had an extremely busy solo life, appearing as soloist with the World’s top Brass Bands on a regular basis and touring extensively with his wife Alison Procter (piano) playing recitals. Ian has appeared as a soloist with the Halle and the London Symphony on many occasions and has recorded a CD with the London Philharmonic and with the BBC Philharmonic as well as having made a solo CD for EMI as part of their “Virtuosi” series. Ian was appointed professor at the Royal Academy of Musicin London in 1992, a position he still holds having recently been awarded Honorary membership of the Academy. In addition to his commitments in London Ian has been since 2002 an advisor to the Royal Northern College of Music in Manchester. 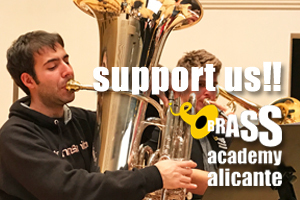 He has given recitals, masterclasses and workshops at the Juilliard School and the Universities of Indiana, Illinois, Toronto, Montreal and Southern Texas as well as having coached the British National Youth Orchestra, National Youth Brass Band, the Pacific Youth Orchestra, the National Youth Brass Band of Switzerland and the New World Symphony in Miami. He has also been a guest professor at the Tanglewood festival as a guest of the Empire Brass Quintet. In December 2003 Ian was accepted into the Verein (club) of the Vienna Philharmonic, the first ever in the orchestra’s history to come from the U.K. Ian lives in the Vienna woods, supports Leeds United Football Club and his hobbies include French cooking and the wines of Burgundy.